Netball is changing. Participation is growing, more clubs are developing and players are getting faster and stronger. High quality umpiring at all levels is essential in helping us achieve our vision to be the number one sport for women and girls in Scotland. As the game progresses, the role of the umpire in helping to ensure matches are played safely and to the rules are needed at all levels of the game. Netball Scotland following the Netball Europe Umpire pathway and assessment criteria. 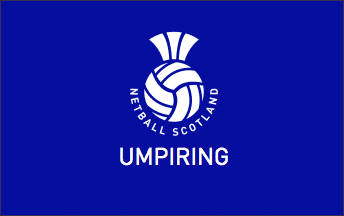 There are also times where Netball Scotland hosts specific workshops to meet the demand of members to ensure we continually grow the quality of umpiring in Scotland. Anyone over the age of 13 can become an umpire. The game doesn’t just need young umpires. Current or ex-players with a wealth of experience at various levels make excellent umpires. Irrespective of age, ability, or experience at playing netball, if you have a passion for the game and can successfully complete Netball Scotland’s Online Introduction to Umpiring and then complete your C Award Course you can start your journey to becoming a netball umpire. New Umpires learn by getting out there and having a go. Contact your local league or drop us an email via educationadmin@netballscotland.com and we’ll help you to find somewhere to get started. This course is perfect for learning the basic rules of netball and refreshing your memory before beginning the C Umpire award. If you volunteer at grassroots level this course is a fast and easy way to brush up on your knowledge of the rules and how to apply them. The course is online and takes around 30 minutes to complete. This Course is Perfect for those who are Umpiring at a lower level or in Schools. Once you complete the initial course you need to complete the C Theory Assessment and then the C Practical Assessment. Minimum age: Candidates must be age 13 or over to attend the C Umpire Course and sit the theory paper, and 14 to sit their C Umpire Practical exam. If you do not meet these criteria and wish to book on, an upgrade of membership is available. Please email membership@netballscotland.com for further enquiries. Resources to help you pass Theory and Practical Assessments can be found here. Netball Europe oversees the assessment process and have created an Umpire Assessments Handbook that covers all information on practical & theory assessments. Please note, that there is no longer a fitness test requirement for the Level C Award. However, it will be helpful for you to have a look over the information regarding umpire fitness to help you prepare for your umpiring journey. This can be found here! Don’t worry about getting yourself a rule book or whistle, these will be provided to you on your course date! Perfect for those that have gained the C Umpire Award and are over the age of 16 officiating in local or regional leagues. Once you have completed the course the next step is completing you theory and practical. Resources to help you achieve your theory and practical Assessments can be found here. Bookings are available through our membership portal. As part of your Umpiring Assessment you must submit your Fitness Bleep Test Result using this document: for the B Award, you are required to reach a minimum of 6.1. Netball Europe oversees the assessment process and have created an Umpire Assessments Handbook that covers all information on practical & theory assessments. Past papers can also be found here. As part of your Umpiring Assessment you must submit your Fitness Bleep Test Result using this document: for the A Award, you are required to reach a minimum of 7.1. 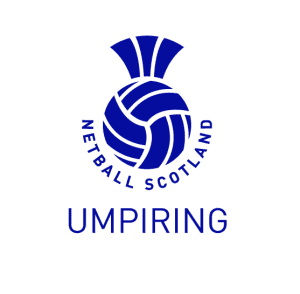 The Netball Scotland Umpire Endorsement programme, which came into effect in September 2017, is in place to ensure the quality of umpiring across Scotland is at a suitable and standardised level. This helps create a positive environment for both players and future umpires to progress, as well as ensuring the standards within the leagues are met. Booking for endorsement programme should take place online through the membership portal here. You should then email education@netballscotland.com with your up and coming match dates so we can arrange an assessor to attend locally. Information around criteria assessed on can be found on the Umpire Resource Section under Endorsement Criteria. Your league may have other ways of operating and your Umpire Secretary for the Local Association will be able to inform you of this. A list of Local Associations and contact information can be found here.